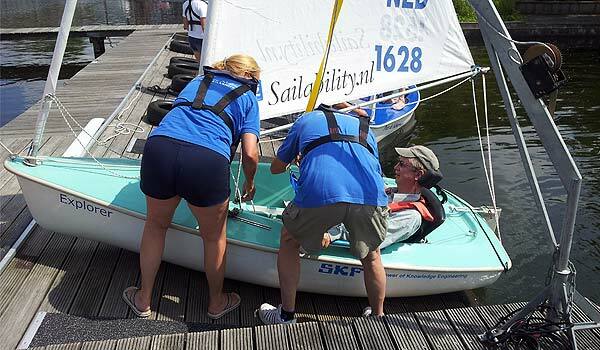 Even if you have a physical or mental disability, sailing for you is possible. 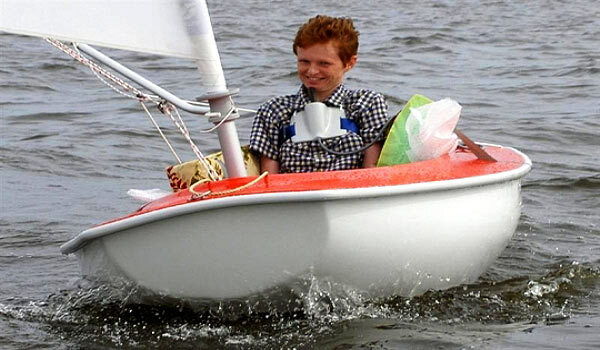 Did you always wanted to try sailing? 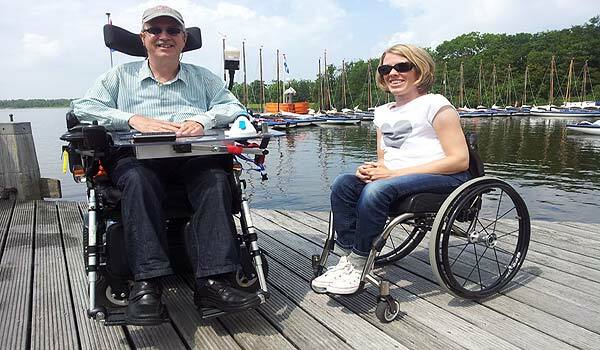 Would you like to meet with our fabulous Dutch water sports? But have you because of whatever reason never taken the opportunity ? Or, are you an experienced sailor already and would you like to do this more often? Yes, Yes but I …….. Yes, you too can sail, really! We assume that you regardless of your limitation you can still learn to sail. Need help getting in and out the boat? We have the people and the facilities to help you get on board. For example, have you a bad balance? 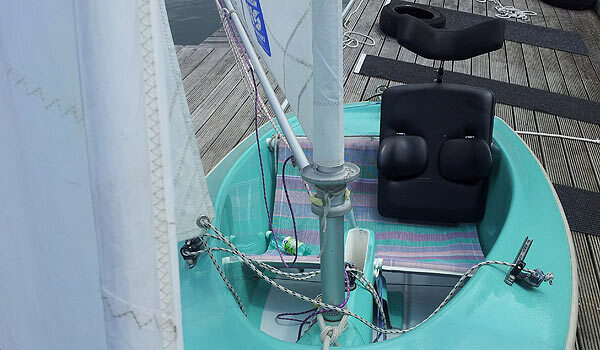 Our boats are easy to provide extra facilities; with a special seat, pillows and foam rubber, we can make the boat fit to your wises. You have little or no strength in your arms? The one person boat is equipped with electric control. 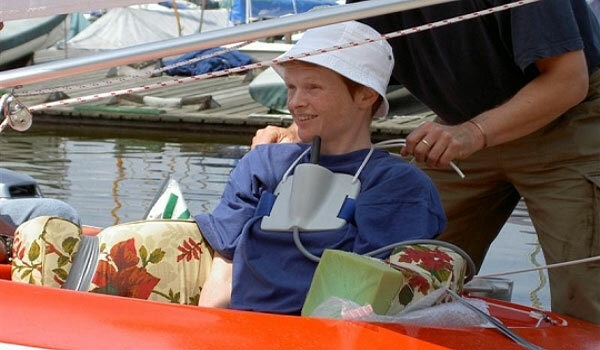 With this system you can even control the boat with one finger or even with your chin. With us you can even sail having a visual handicap. 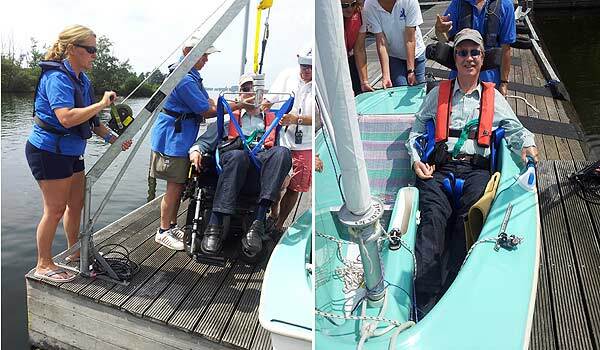 First we take you into double boat with an experienced sailor. Then, if you wish, you go out in the one person boat, with walkie-talkie contact from the shore or from a following boat coached by an experienced sailor. There are of course many more disabilities. Don’t think: “my disability is not listed so I can’t participate. 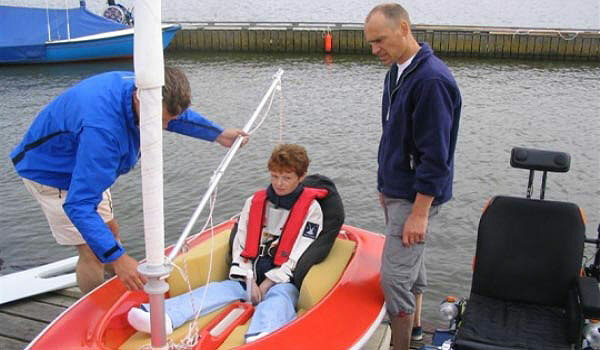 In consultation with you, we will find the solution so that you too can go out sailing. Sailing is the ultimate feeling of freedom. If you have a disability you often have to rely on other people for all kinds of help. However if you’re in a sailboat is and sailing the Lake you find back your freedom. You can enjoy the wind and water. You decide where you want to go sailing; you are independent. No problem! 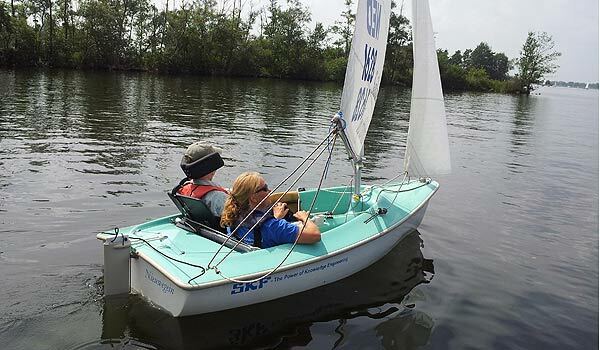 In a double boat you sail along with an experienced sailor, who will explain how the boat works and how you should sail. We sail in “Access Dinghy” boats. These boats have been tested, cannot overturn and are very stable in the water. Our volunteers at the same time are sailing on the water in a quick following boat, so you’re never alone on the water. The volunteers are there to answer all your questions and to provide assistance where necessary. Everyone wears a life jacket, which gives an extra security. Other transport options (at a cost) can be arranged from your accommodation. We arrange for you an overnight stop or custom vacation rental.